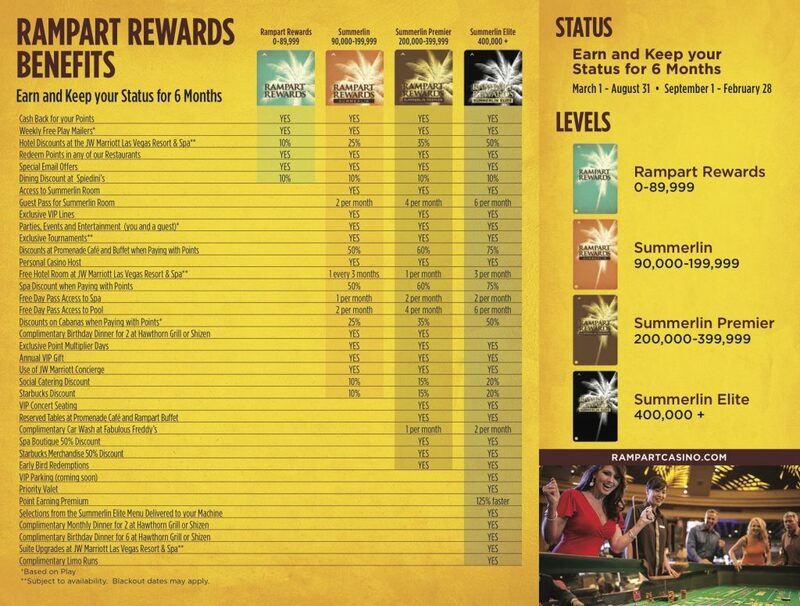 The Rampart Rewards program allows you to earn points for great rewards and benefits throughout the resort. And, it allows you to earn points faster! Earn 1 point for every $1 Coin-In on reels and video reels, and earn 1 point for every $2 Coin-In on video poker. 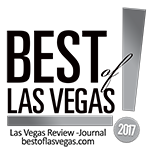 Then, redeem 200 points for $1 in value for great resort rewards like cash, free slot play and more. Establish a line of credit to have access to gaming funds which can be used at our table games and in our slot areas. Click here to apply online. ($2 coin-in = 1 point) games. When you play table games, players earn comp dollars that may be used for meals, entertainment, merchandise and spa & rooms. When you’re ready to redeem, it only takes 200 points to get $1 in cash back or comp value at our restaurants. Cash back can be redeemed directly at the Casino Cage. To redeem meals for your points, swipe at the restaurant through the point of sale system and/or present your card to your server as payment. Every 200 points gives you $1 toward your food bill. Hotel and Spa comps may be issued at the pit (see pit for details). Click on the benefits to enlarge image.